This past week, our staff planned a day out. As archaeologists, we obviously chose to visit archaeological sites, but we had no idea what we were about to see. The dates grown in Archelais and its environs were famous all over the Roman world, and were even given as a gift to the wife of Augustus Caesar. Today, the area still has large tracts of date palms bordering the land under cultivation. Today the Arab city of Khirbet el-Beiyudat has been built over part of Archilais, but you can still see the ancient water channels. Archelais was excavated from 1986 to 1999 by Hananya Hizmi, now chief archeological staff officer in the Israeli Civil Administration of the District of Judea and Samaria. 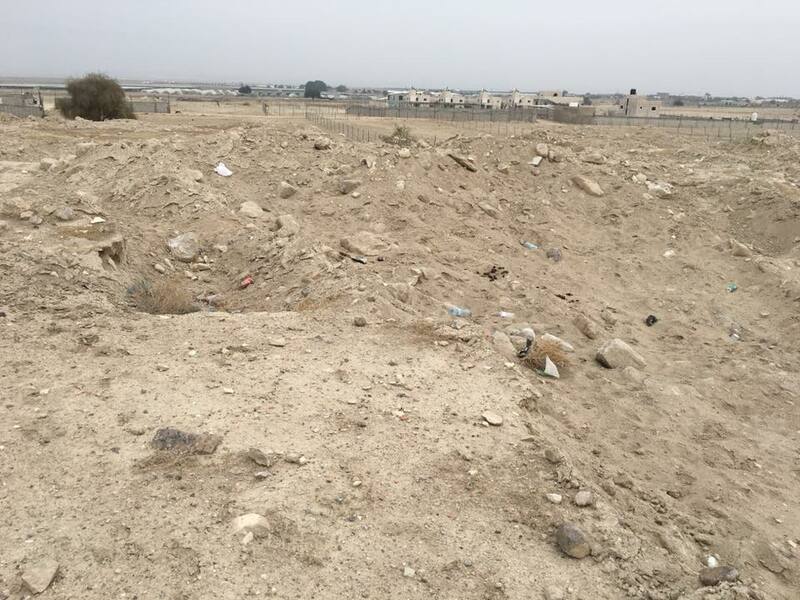 The site has been mostly untouched since that excavation, until recent construction by the Palestinian Authority (PA) began to turn the area into a resort with summer homes. While this construction was unfortunate as it destroyed any archaeological material on the building site, at least it was limited to the very edges of the site. The workers brought in to bulldoze the area soon realized, however, that the land they were digging was rich in archaeological artefacts. Within days, the entire site of Archelais was marred by bulldozer excavated and hand-dug pits, as mass looting for the black market went on undisturbed. What we saw, and what you can see in these pictures, is not ISIS excesses in Syria or Iraq. It’s right here in Israel. This is quite possibly the biggest archaeological disaster in Israeli history. While the Temple Mount may be a more important site, rich in antiquities from many different time periods, Archaelais is much larger in size than the south-eastern corner of the Temple Mount which the Waqf carelessly excavated to build the Marwani Mosque. Three hundred and fifty five dunams of an established archaeological site were laid to waste. We were shocked. We had never seen such massive destruction (approximately 100 dunam were utterly destroyed). There were hundreds of pits, many trenches, and the entire site was turned over by bulldozers looking for archaeological “hot spots.” Artefacts were strewn all over the site; stone ashlars, architectural features, column drums, and farming tools. Let’s take a moment to outline a brief history of the area’s jurisdiction. According to the Oslo Accords, Judea and Samaria is now divided into three areas: A, B, and C. Area C is under full Israeli jurisdiction and security control. Area A is under the jurisdiction of the Palestinian Authority with identical powers. Area B is jointly administered, with the Palestinian Authority in charge of administration, while Israel controls security. Archaeological sites are to be protected and safeguarded under the Oslo Accords – requiring damage prevention, respect for academic freedom, and provision of excavation licenses for archaeologists on a non-discriminatory basis. The Archaeology Department of the Civil Administration has little manpower and, it seems, little interest in this area of Israel. 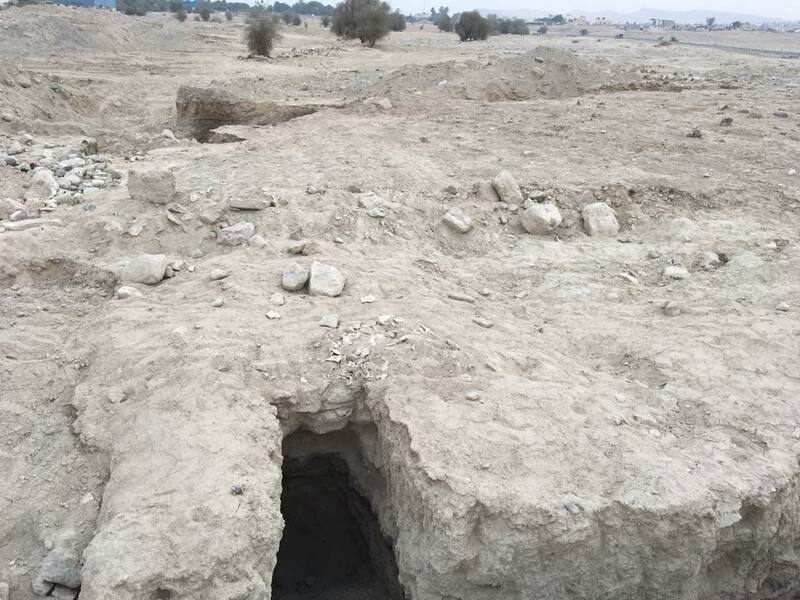 A single person is responsible for antiquities robbery, construction supervision, and excavations for a district encompassing over 3000 sites – all the Jordan Valley and southern Samaria. Under the Israel Antiquities Authority, sixty to seventy people would be in charge of administering an area this size. The fact that Israel is not investing resources in preservation of archaeological sites in Judea and Samaria in areas C or B is a huge problem. The archaeology department in the Palestinian Authority is also short-staffed and lacking in resources. This type of destruction cannot be allowed to continue, or to happen again elsewhere. We have brought this wholesale destruction to the attention of Channel 2 News in Israel. We can do more to protect our archaeological heritage in Israel. We need people who care to speak up and force the government to allocate the necessary funding and resources for preservation and conservation of archaeological sites throughout the country. We also need to work with the archaeology department of the Palestinian Authority to better protect sites at risk in Areas B and A as well. Let 2018 bring us the protection we need for our archaeological sites and our heritage at risk in Israel.